Solignanon 28 June 2018 - Renowned for innovation, originality and a distinctive style, Ariana is preparing to unveil new ceramic surfaces and new bathroom furnishing solutions at Cersaie 2018, to be held from 24 to 28 September. 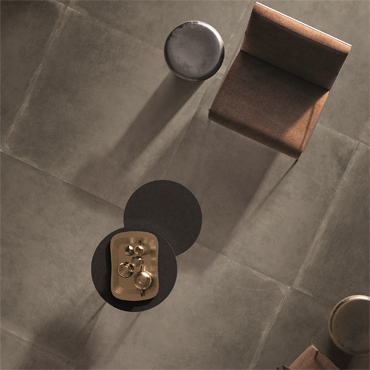 The Ariana space in Hall 16, Stand C34-D31 will showcase a number of novel ceramic surface inspirations including leather, the iconic material reproduced in the Worn collection. With its heritage aesthetic and unique personality, this appealing collection is ideal for creating stylistically eclectic combinations for residential, commercial and public spaces. 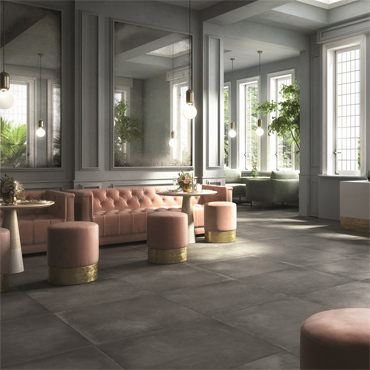 Ariana has also chosen Cersaie as the venue to unveil new applications of porcelain to an international audience as part of its Bath Design catalogue. The 120x240 cm or 120x270 cm WIDE panels in a thickness of just 7 mm allow the various material inspirations in the Ariana catalogue to be used to create standard and customised shower trays, washbasins and shelves coordinated with the floor and wall tiles chosen for the bathroom. 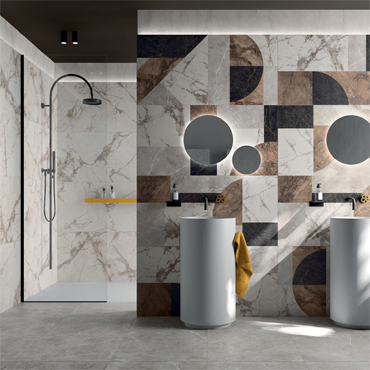 The Bath Design collection from Ariana marks the latest step forward in the growth of the Solignano-based company which is increasingly specialising in Mix&Match solutions. Along with its wealth of experience in combining surfaces, materials and colours, the brand is now preparing to introduce custom furnishings for an Ariana total look bathroom.